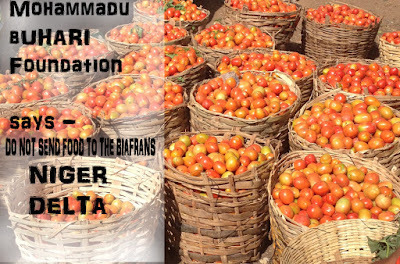 A group known as Mohammadu Buhari Legacy Foundation (MBLF) has warned the northerner farmers to withdraw from sending food to the South East and South South for at least 30 days. Until the Niger delta avengers stops, bombing and blowing up oil wells. 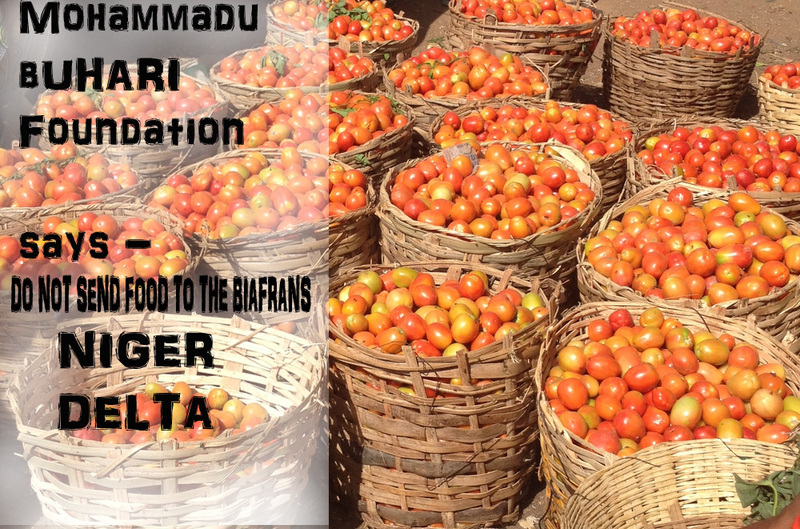 The Foundation’s Coordinator, Sani Bello Maikusa, said they have ordered Northerners doing business in South-South region to stop supplying agricultural produce, cows, donkeys, dogs, to that part of the county. Speaking on Sunday in Kaduna during a lecture organized by the Foundation to celebrate President Muhammadu Buhari’s one year in office, Bello Maikusa lamented that the continued attack on petroleum pipelines in that region has made the country to lose 25 percent of its crude oil. He said: “President Buhari’s efforts to improve power supply to above 5000 mgw have dropped to less than 150 mgw as a result of pipeline sabotage and avengers. “Gas cannot be pumped for electricity and crude oil cannot be pushed to refineries in warri and Kaduna. We are therefore calling for a total boycott of the South-South region for a period of 30 days from July 1st to July 30 2016. “All businessmen, goods services, agricultural suppliers, suppliers of cows, donkeys, dogs, from the 5 regions of the country should boycott south-south region in protest to the sabotage and pipe line vandalism going there. The group also added that the activities of the Avengers are simply aimed to take revenge on President Buhari’s government for the failures of PDP and Goodluck Jonathan’s government. The Chairman of the occasion, former Assistant Inspector General of Police Lawal Bawa, urged Nigerians to be patient with the Buhari’s administration s its set to take the country to greater heights. The Niger Delta Avengers in the early hours of today blew up two major oil wells located at Dibi in Warri South West local government area of Delta State.The oil wells are Well RMP 23 and RMP 24 belonging to Chevron Nigeria Limited. Despite their sophisticated equipments, you’ve proven to the hopeless Nigeria combined team of force men that, a Landlord is a Landlord. With the heavy presence of 100 Gunboats, 4 Warships and Jet Bombers NDA blew up Chevron Oil Well RMP 23 and RMP 24 3:44am this Morning. The cowards called Nigeria force men, are specialist in clamp downing unarmed civilians, but can't withstand armed men.